As 2018 comes to an end, we’ve rounded up five Young Adult novels you’ll want to read before 2019. 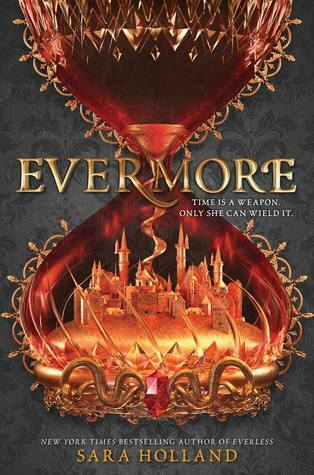 From thrilling sequels (Sara Holland’s Evermore) to hilarious debuts (M.K. England’s The Disasters), you don’t want to miss these must-reads. And if you’re looking for even more book recommendations, check out our list of the best Young Adult novels of 2018 after browsing this list. 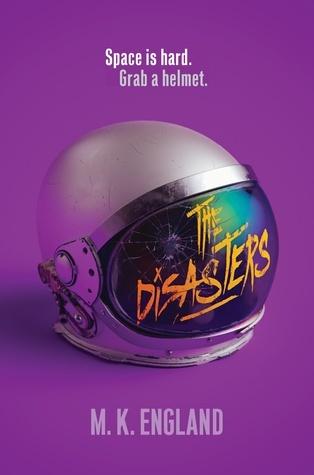 Why You’ll Love It: Novels told through interconnected stories are a rare treat in the YA lit world, and I’m excited to see this one by Arwen Elys Dayton hitting shelves this month. Appealing to fans of Black Mirror and Westworld, it’s a thrilling read that explores an exciting and terrifying near-future. For Fans of: Authors like Daniel H. Wilson or the graphic novel series Alex + Ada. This extraordinary work explores the amazing possibilities of genetic manipulation and life extension, as well as the ethical quandaries that will arise with these advances. The results range from the heavenly to the monstrous. Why You’ll Love It: Chances are, you’ve heard of Demitria Lunetta’s terrifying, paranormal YA novels. Her debut series, In the After, was a hit in 2013, and she hasn’t stopped since. 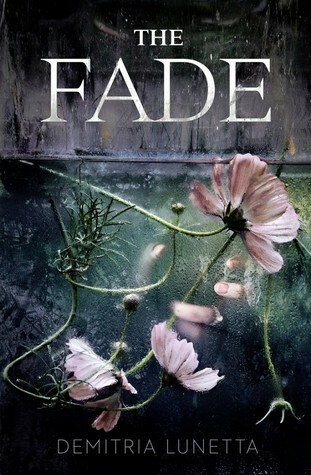 Her latest is a horror thriller full of ghosts and mystery sure to leave you quaking. For Fans of: Authors like Dawn Kurtagich and Nova Ren Suma. Description: Something terrible happened in her basement. Haley can feel it. Why You’ll Love It: Okay, this one isn’t a novel. But as an anthology curated by one of the best voices in YA lit, you don’t want to miss it. A collection of letters from celebrated authors to teens addressing the painful side of love, it includes stars like Becky Albertalli, Libby Bray, Gayle Forman, Sandhya Menon, Ibi Zoboi and so many more. For Fans of: Authors like Victoria Schwab and Leigh Bardugo. 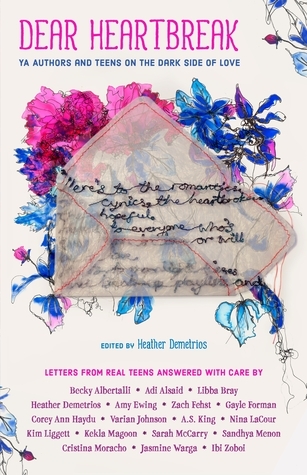 Description: In this powerful collection, YA authors answer real letters from teens all over the world about the dark side of love: dating violence, break-ups, cheating, betrayals and loneliness. This book contains a no-holds-barred, raw outpouring of the wisdom these authors have culled from mining their own hearts for the fiction they write. Their responses are autobiographical, unflinching and filled with love and hope for the anonymous teen letter writers. 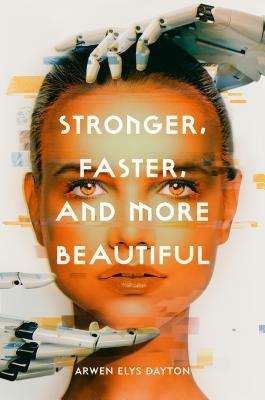 Why You’ll Love It: “Space is hard, grab a helmet.” Just looking this sci-fi debut’s cover, you know you’re in for a fun read. Because when you find a book pitched as The Breakfast Club meets Guardians of the Galaxy, you know you have to read it. For Fans of: Authors like Britta Lundin or Ashley Poston. Description: Hotshot pilot Nax Hall has a history of making poor life choices, so it’s not exactly a surprise when he’s kicked out of the elite Ellis Station Academy in less than 24 hours. But Nax’s one-way trip back to Earth is cut short when a terrorist group attacks the Academy. Nax and three other washouts escape—barely—but they’re also the sole witnesses to the biggest crime in the history of space colonization. And the perfect scapegoats. On the run and framed for atrocities they didn’t commit, Nax and his fellow failures execute a dangerous heist to spread the truth about what happened at the Academy. They may not be “Academy material,” and they may not get along, but they’re the only ones left to step up and fight. Why You’ll Love It: Hitting bookshelves on New Year’s Eve, the sequel to Sara Holland’s New York Times bestseller Everless is the perfect way to start 2019. After all, it’s a series about time…and the ability to extract it from blood. You’ll be clamoring to find out what happens in a world where the wealthier you are, the longer you can live. For Fans of: Authors like Susan Dennard or Delilah S. Dawson. Description: Jules Ember was raised hearing legends of the ancient magic of the wicked Alchemist and the good Sorceress. But she has just learned the truth: not only are the stories true, but she herself is the Alchemist, and Caro—a woman who single-handedly murdered the Queen and Jules’s first love, Roan, in cold blood—is the Sorceress. The whole kingdom believes that Jules is responsible for the murders, and a hefty bounty has been placed on her head. And Caro is intent on destroying Jules, who stole her heart 12 lifetimes ago. Jules must delve into the stories that she now recognizes are accounts of her own past. For it is only by piecing together the mysteries of her lives that Jules will be able to save the person who has captured her own heart in this one.